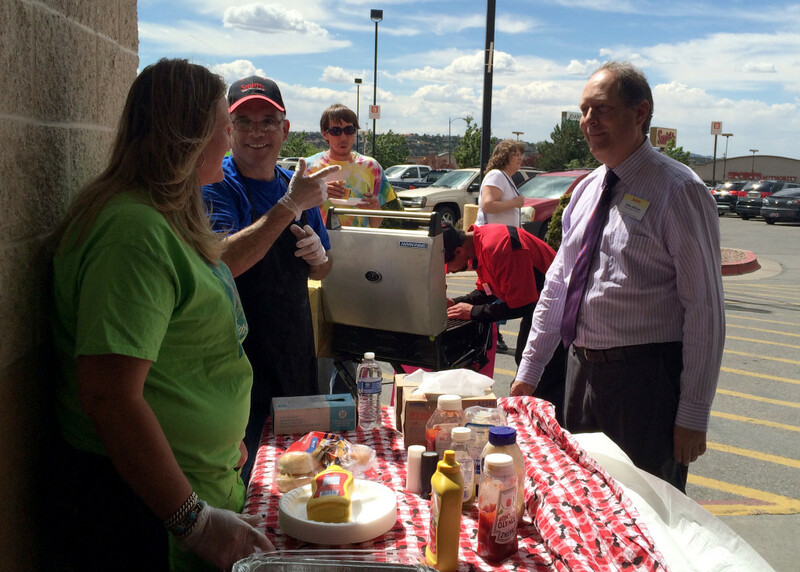 CEDAR CITY – Smith’s Food and Drug in Cedar City hosted a barbecue fundraiser to benefit Primary Children’s Hospital Saturday. Between Saturday’s fundraiser and another barbecue held on April 25, Smith’s has raised nearly $4,000 for the hospital. A service group composed of Smith’s employees, known as the Cedar City Smith’s Culture Club, has set a goal of raising $8,000 for Primary Children’s, Assistant Store Director Paula Knight said. 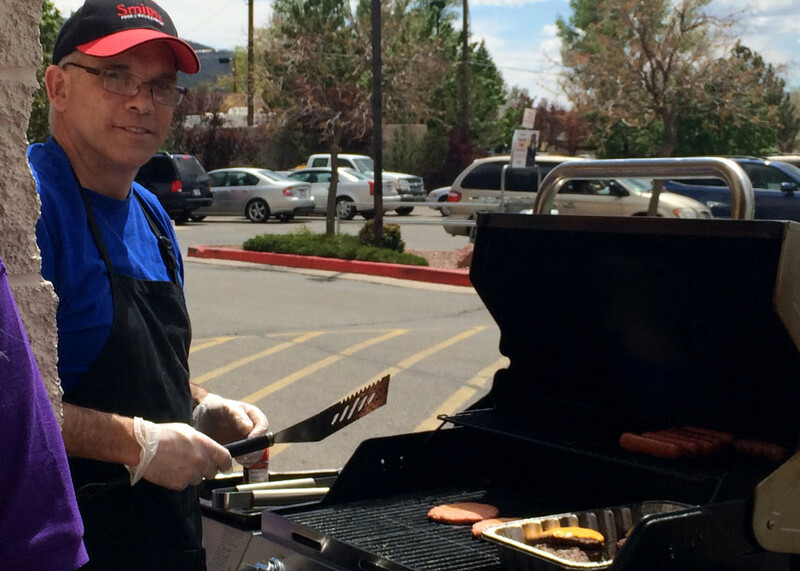 Though the details have not yet been confirmed, the group plans to host another fundraiser at the Cedar City store on May 9. “Weather permitting, we are going to do a car wash and a yard sale,” she said. 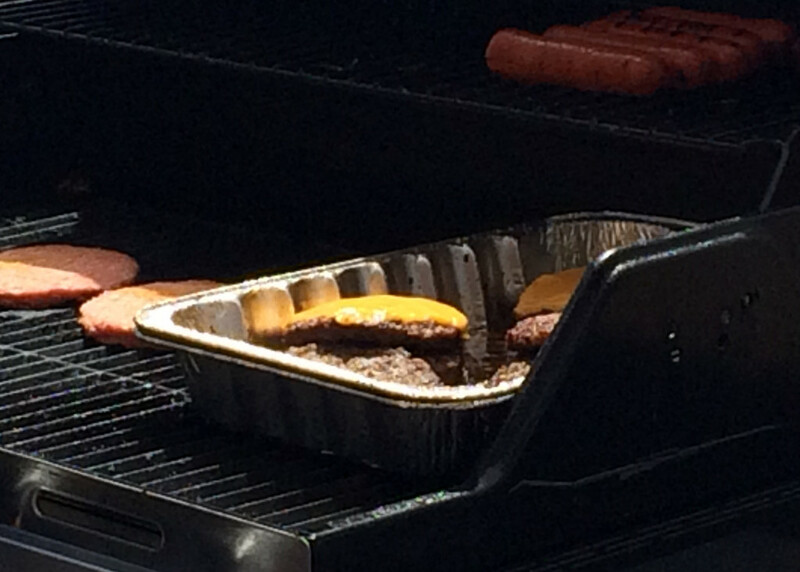 Another barbecue is also possible if there are enough volunteers, she said. 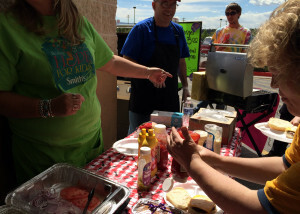 All the fundraisers have been planned and conducted by Smith’s employees in their own time as volunteers, whether they were a part of the culture club or not. 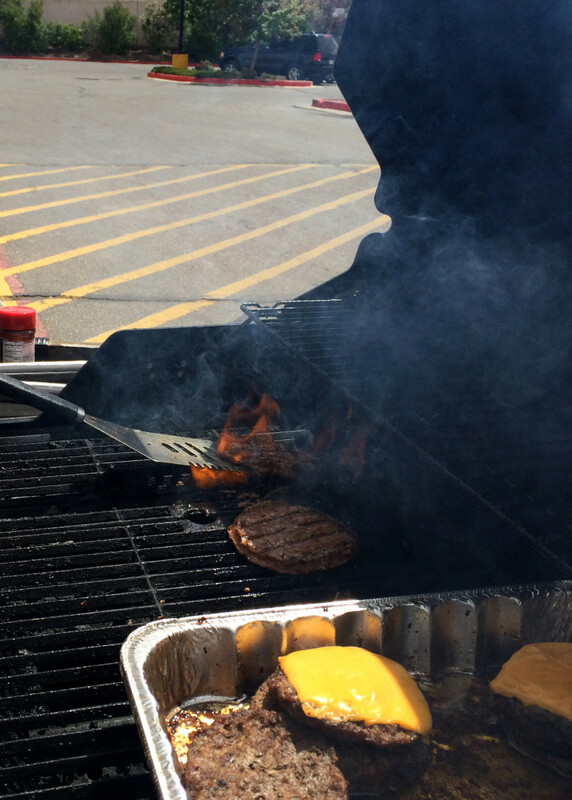 A long line of hungry shoppers chipped in to help the cause Saturday. Many donations also came from people who didn’t buy food but just dropped money in the cup, Smith’s Bookkeeper Toni Bissio said. One woman walked by and dropped a $100 bill into the donation cup as she passed through the crowd and into the store. When asked why she gave such a generous donation, the woman began to cry. Katayama said she has only lived in Cedar City for three weeks, but everyone has been so kind and generous she just wanted to give back. Katayama was not the only one to give without taking anything for the fare. When he was approached by Produce Manager Tony Miller to buy tickets to enter a drawing for a new barbecue, Summit resident Bill Rafti said he didn’t think twice about just donating to the cause. Customers like these are what make it all worth it, said Knight, who spent the previous Saturday barbecuing in the rain, sleet and snow. Customers interested in donating can do so by going to Smith’s Food and Drug, 633 S. Main St. in Cedar City, and telling any cashier they would like to donate to Primary Children’s Hospital.